Thomas Construction was founded in 1975 with the sole purpose of producing quality projects. As our company has grown, we have focused on developing a work environment that attracts a staff with the common characteristics of integrity and commitment. Many members of our team have been with us for more than 15 years. This type of longevity is key because our clients know that the planning, development, and management of a project are more effective when the same people are available from beginning to end. We take great care in developing a team that will be committed to our projects and our purpose of producing quality homes and businesses for years to come. Today our 50+ employees have completed hundreds of construction projects. 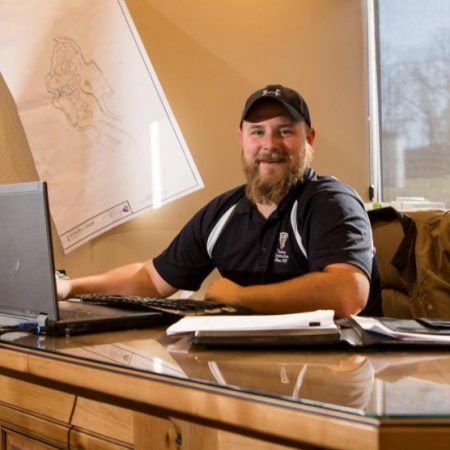 We now assist clients all over the Midwest with general contracting, architecture, design/build, and construction management from our headquarters in Osage Beach, Missouri. Through our commitment to excellence, Thomas Construction has become one of the most successful and respected companies in the region. Over the years the construction industry has gone through many changes and profited immensely from innovations in equipment, safety, and technology, yet as in the beginning, we believe our most valuable assets are our people. Thomas Construction serves as both construction manager and general contractor, employing a large number of skilled craftsmen and tradesmen. We feel that one of our biggest strengths is the long-term relationships we have with our employees and contractors, allowing us to know individual talents, and to be able to develop teams around these talents that are specific to the needs of each project. We offer a diversified range of construction project services. Over the years, Thomas Construction has built quality projects in multiple states. Chad joined Thomas Construction in 2008 and has held a number of diverse roles gaining experience in Thomas Construction operations. Chad’s experience includes administration, estimating, field supervision, and project management. He currently assists in the day-to-day operations projects within the Custom Residential Division and the Commercial & Hospitality Division. 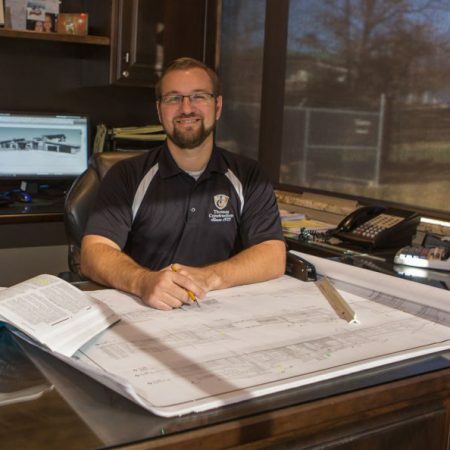 Prior to joining Thomas Construction, Chad worked as a project manager for one of the nation’s largest commercial contractors: Burns and McDonnell, Kansas City, MO. Chad is proud to bring up the 2nd generation of leadership at Thomas Construction. Dan started with Thomas Construction as a skilled carpenter in 1980. His carpentry skills and knowledge about construction helped him move quickly up the ranks, eventually being asked to become a partner. 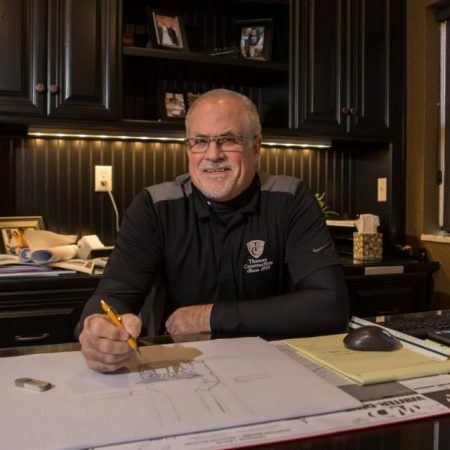 Dan leads Thomas Construction’s residential division, his unique artistic abilities have led the company to create a reputation for high-quality luxury homes. As Owner, Dan’s leadership has positioned the Thomas Construction brand as the premier builder of residential homes at Lake of the Ozark. Dan’s unique and artistic home designs can be seen all around the Lake area. 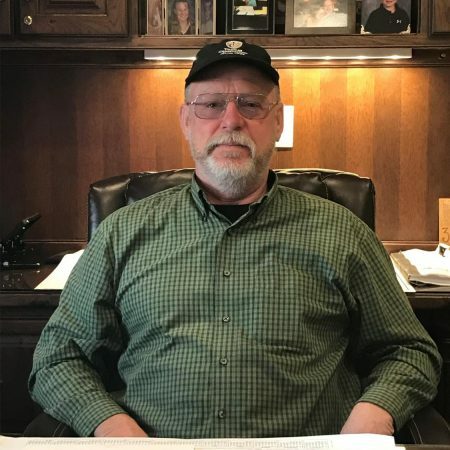 Jim has been with Thomas Construction since 1980, beginning his construction career as a skilled carpenter and progressively moving up the company ranks. Over the years Jim acquired a vast and broad knowledge of the construction trade, becoming a partner in 1985. Jim started the commercial division of Thomas Construction in 1993. His structured ability to bring projects in on budget and ahead of schedule has made Thomas Construction a top rated commercial contractor. 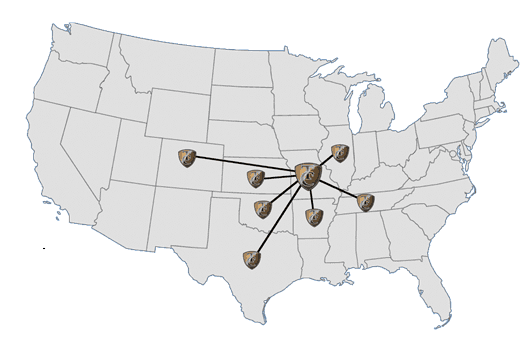 Jim’s leadership has helped Thomas Construction expand operations to 10 states in the Midwest. Jim’s attention to client satisfaction in every project allows Thomas Construction’s commercial division to continue to grow. Matt joined Thomas Construction in 2014 as a licensed architect. Matt’s broad area of experience in architectural design includes both commercial and residential builds. His designs include multi-family residential, hotels, office buildings, restaurants, and lake-front custom home. Matt currently acts as the design coordinator of any Thomas Construction design-build commercial or residential project. Shawn is currently a project manager for both the Custom Residential Division and Renovation Division at Thomas Construction. Prior to joining Thomas Construction, Shawn was a project manager for TFW at Fort Leonard Wood, MO. 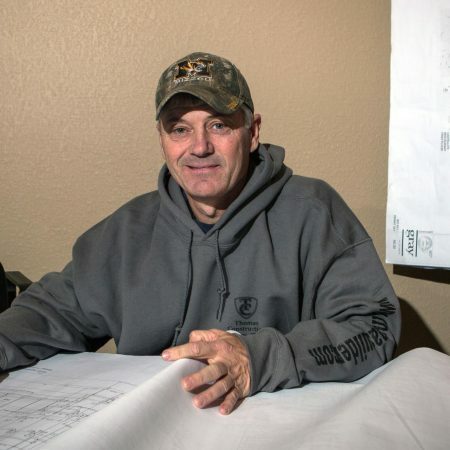 Shawn’s 15 years experience owning his own contracting business is an asset for Thomas Construction and our team. 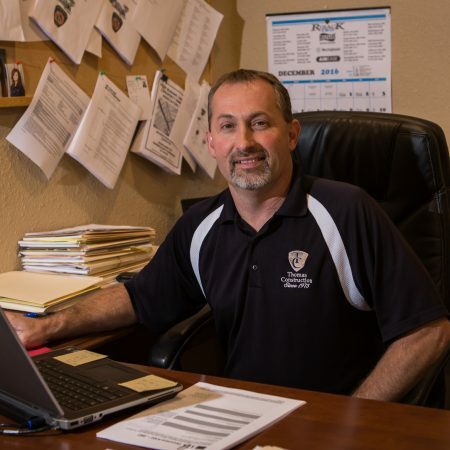 Travis has been with Thomas Construction since 1992 and his knowledge and leadership at Thomas Construction is second-to-none. His experience includes field supervision and project management. Buck oversees and manages day-to-day operations of various construction projects within the Commercial & Hospitality Division. Before Thomas Construction, Buck served in the United States Navy Construction Battalion for six years.